Another year, another iPhone. Is this one the best yet? Apple's iPhone 5s has a small screen by 2013 standards and is unlikely to attract users switching from large screen Android devices, but it remains the best smartphone Apple has ever released. The useful fingerprint sensor, a faster processor and improved low light camera performance will keep most iPhone users satisfied. This phone has appeared in our Best budget smartphones 2016 list. Another year, another iPhone. Apple's mid-cycle "S" update has brought us the iPhone 5s. It retains an identical, physical design to the iPhone 5 but introduces a useful biometric fingerprint sensor, has a faster, 64-bit A7 processor and takes better photos than its predecessor, particularly in low light. The iPhone 5s' screen is small by 2013 standards and is unlikely to attract users switching from large screen Android devices, but this is easily the best smartphone Apple has ever released and will keep most iPhone users satisfied. As is the custom with Apple's "S" iPhone releases (just like the iPhone 3GS and the iPhone 4S), the iPhone 5s retains an almost identical physical design to its predecessor. While this may disappoint some, there's no doubt that the iPhone 5 was, and still is, one of the best designed smartphones on the market. It's also completely comfortable to use single-handedly, a disadvantage of larger screened handsets, and remains one of the thinnest smartphones available. Apple is clearly onto a winner and has chosen to ride that design for as long as possible. It's hard to argue with that logic. 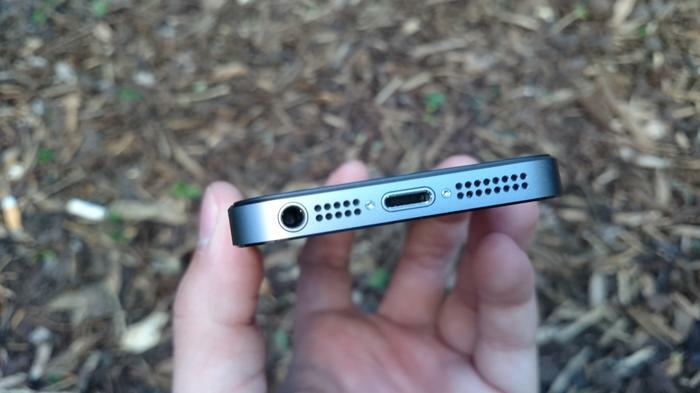 The iPhone 5s' bevelled edges on the sides, machine drilled speaker and microphone holes at the bottom, and glass panels at the top and the bottom of the back are typically Apple touches. There's simply an extraordinary attention to detail on the iPhone 5s that many competitors lack. Users who own larger screened Android devices aren't likely to be tempted to switch. The iPhone 5s retains a 4in screen, so users who own larger screened Android devices aren't likely to be tempted to switch. While the screen itself remains one of the best of market in terms of clarity, colour and viewing angles, its size is tough to swallow if you've used a device like the Samsung Galaxy S4, the HTC One or even Nokia's Lumia 1020. In other words, the iPhone 5s will keep current iPhone users happy, but is unlikely to attract users who prefer larger screens. The iPhone 5s uses the same anodised aluminium finish as its predecessor, but there's two new colours and therefore three colour options in total — gold, silver and "space grey". The lighter space grey replaces last year's "black and slate" iPhone 5, while the gold model is a completely new variant. The latter is a very attractive option without being gaudy — the champagne coloured finish is subtle and doesn't look anywhere near as pronounced as it does in Apple's media images. 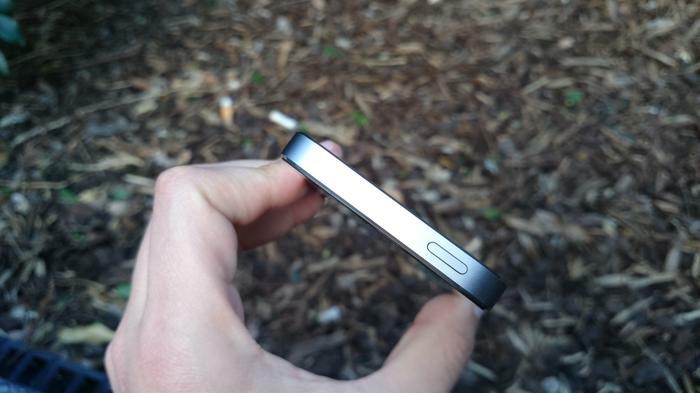 The space grey model is slightly lighter than the black and slate iPhone 5. 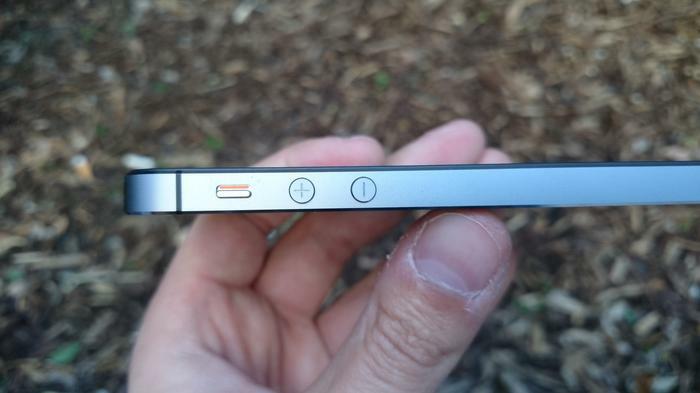 The space grey model is presumably Apple's answer to combating issues with the black and slate iPhone 5, which was easily scratched and marked, particularly on the back, and along the bevelled side edges. In a week of use, our space grey iPhone 5s review unit only attracted some minor scratches on the back which were barely noticeable. After a few days of using touch ID, it becomes second nature. 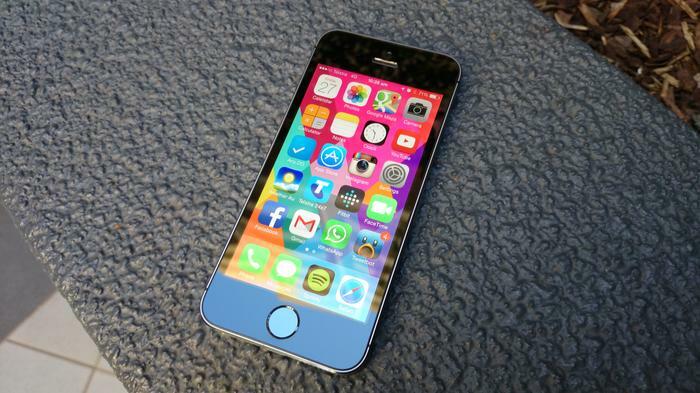 The most notable feature of the iPhone 5s is the home button, which doubles as an optical fingerprint scanner. Apple calls the system touch ID, and it enables users to unlock the phone without the need for a traditional passcode. While Apple isn't the first to use a fingerprint sensor on a smartphone (remember the Motorola Atrix? ), it's the first to do it well. Touch ID is simple to use, fairly easy to setup, and works effectively 95 per cent of the time. To use touch ID, you need to "teach" the iPhone 5s to read your fingerprint by lifting and resting your finger on the home button repeatedly. Apple's setup process takes a few minutes and even requires you to scan the sides of your finger in order to provide better results. You'll need a bit of patience, but the end result is worth it. After a few days of using touch ID, it becomes second nature. You'll never want to use a passcode again. The best feature of touch ID, aside from the speed that it operates, is the fact that the sensor can read a fingerprint in any orientation. A good example is snoozing your morning alarm: even if the phone is upside down, our fingerprint still registered. You can save up to five separate fingerprints, so it would be ideal to record both thumbs and both index fingers. 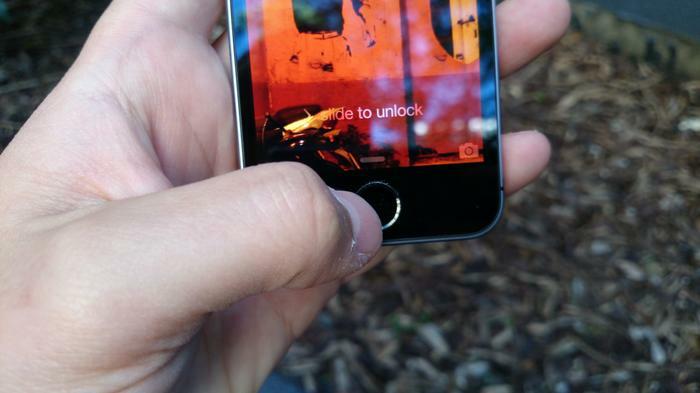 If you wish, a second user could also register their fingerprint to unlock your phone. In addition to being used to unlock the iPhone 5s, touch ID can also be used in place of an iTunes Store password when purchasing apps and content, and will also work with the App Store and the iBooks Store. If you download plenty of apps, you'll immediately find it useful, though it's a shame the system doesn't work with any third party options. It's certainly a good feature but opening up touch ID for use in other apps and content would make it much more appealing. It's a familiar look and feel, but the iPhone 5s remains one of the thinnest smartphones on the market. The Apple iPhone 5s obviously comes with the newest version of Apple's mobile operating system, iOS 7. New features include a completely revamped user interface, AirDrop wireless sharing, and an all-new Control Centre. iOS 7 will be available as a software update for all other iOS products, so it's not exactly unique to the iPhone 5s. 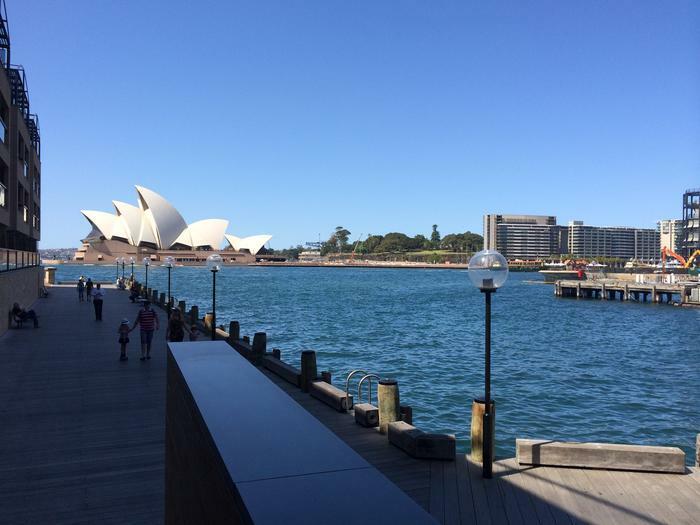 It has received mixed reviews but we think it's a significant and welcome upgrade overall. The bright colours and light menus do take some getting used to, and some of Apple's icons are just strange. However, it's a significant improvement over iOS 6, which looked dated compared to its Android and Windows Phone competitors. 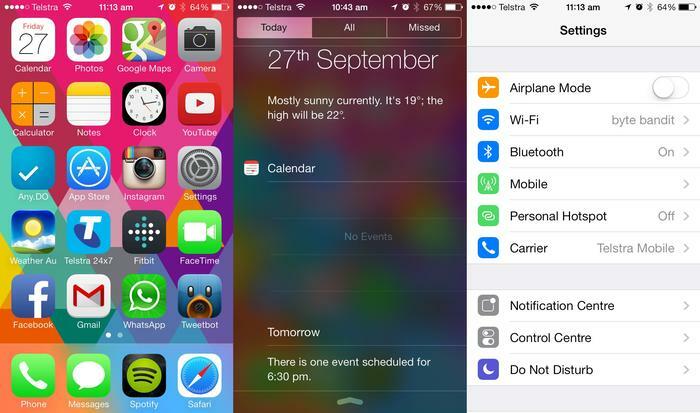 iOS 7 has a fresh, colourful new look. The control centre is without a doubt the most useful new feature. The control centre, accessible by swiping up from the bottom of the screen, is without a doubt the most useful new feature. It eliminates the need to delve through the settings menu to access commonly used functions like Bluetooth and Wi-Fi, allows you to quickly adjust the brightness, and has shortcuts for the camera, calculator, timer and flashlight. The latter is very handy in particular. It's important to note that Apple is simply playing catch-up here, particularly as notification toggles have been a feature on Android for years, but iPhone users won't be complaining. iOS 7 certainly isn't perfect. Notifications remain significantly inferior to Android, the default calendar app is limited and Siri is improved, but remains less useful than it should be. There's plenty of improvements on the whole, however, and most users should be left pretty satisfied. The Control Centre is the best feature of iOS 7. The iPhone 5s is fast, there's no doubt about this. 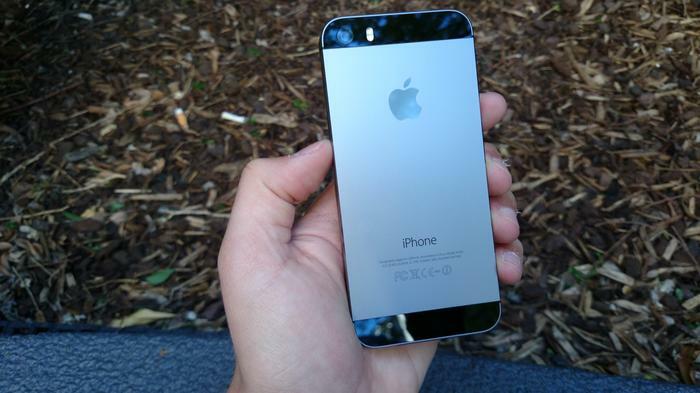 The iPhone 5s has an updated A7 processor, and is the first smartphone on the market to use 64-bit architecture. Apple says it's up to twice as fast than the A6 chip used on the iPhone 5 and "in certain instances" will offer CPU times 42 times faster than the original iPhone. We're not sure why Apple made that last comparison, given the original iPhone was released way back in 2007, but hey, it does sounds good on paper, right? The iPhone 5s is fast, there's no doubt about this. However, side-by-side with the iPhone 5, it's hard to spot the differences. Some apps, particularly games like Infinity Blade III and Real Racing 3 load a second or two faster, and general performance is slightly improved. 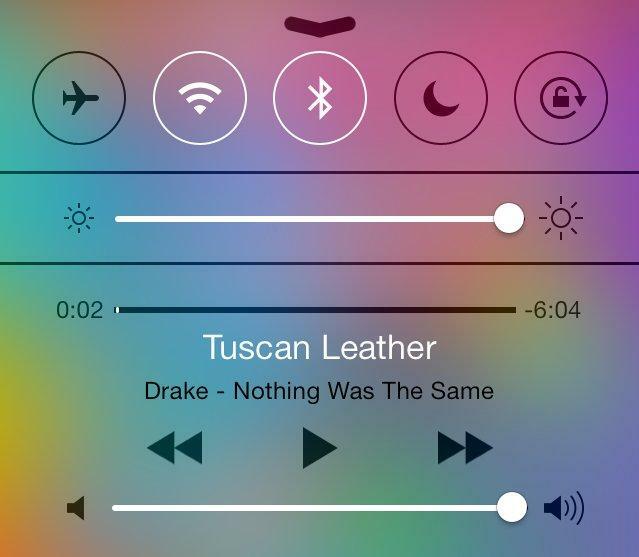 But there's not a huge difference between the two devices, and most of iOS 7's animations look exactly the same. The real advantage of the A7 processor in the iPhone 5s will come in the coming months, as more applications are developed to take advantage of its power. The main benefit is likely to be gaming, but the iPhone's camera should also be a big beneficiary, with faster processing times and the ability to do more with images and video. This is another future-proof feature. Perhaps more important than the A7 processor is the iPhone 5s' M7 "coprocessor". Apple claims it's a "sidekick" to the A7 chip, designed to measure motion data from the phone's accelerometer, gyroscope and compass. The M7 knows if you're driving or walking and will therefore automatically switch Apple's Maps app from driving to walking mode. This works as advertised, but again, it's not open to third party apps (Google Maps, anyone?). Apple says the M7 will also reduce network pinging in an attempt to save battery life if your phone hasn't moved for a while. The benefits of such a system are difficult to measure right now, so like the A7, this is another future-proof feature more than anything. 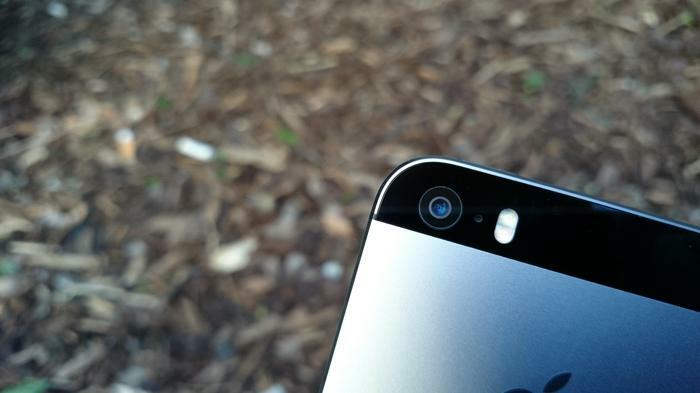 The camera on the iPhone 5s still uses an 8-megapixel sensor but now has a 5-element lens with an aperture of f2.2. Apple says the surface area of the sensor is larger than its predecessor, and the pixels are larger at 1.5 microns. The camera promises improved performance in low-light conditions, and for most part, it delivers. The difference between the iPhone 5 and iPhone 5s for daytime shots isn't too apparent, but low-light performance is significantly improved. Night time shots on the iPhone 5s are a real highlight: most of the shots we captured were sharper and produced far less image noise than the iPhone 5. Low light photos are also aided by a new camera flash on the iPhone 5s. It's been upgraded from single-LED to dual-LED and Apple says it's the first with different colour temperatures on each LED. The "true-tone flash" has one cool and white LED, and the other warm and amber. While it produces better results, particularly when it comes to skin tones, it's no substitute for a proper Xenon flash, and we still produced better results with the flash off most of the time. Overall, the iPhone 5s can't beat the outstanding Nokia Lumia 1020's camera, but it remains one of the best cameras we've ever used on a smartphone. You can see some of our other sample images here. Burst mode is the best showcase for the new A7 processor. The iPhone 5s boasts a few new camera features, two of which are pretty significant and add plenty of value. A new burst mode can take 10 photos in a second and automatically select the best shots, while a slow-motion recording mode can capture 720p HD video at 120 frames per second. 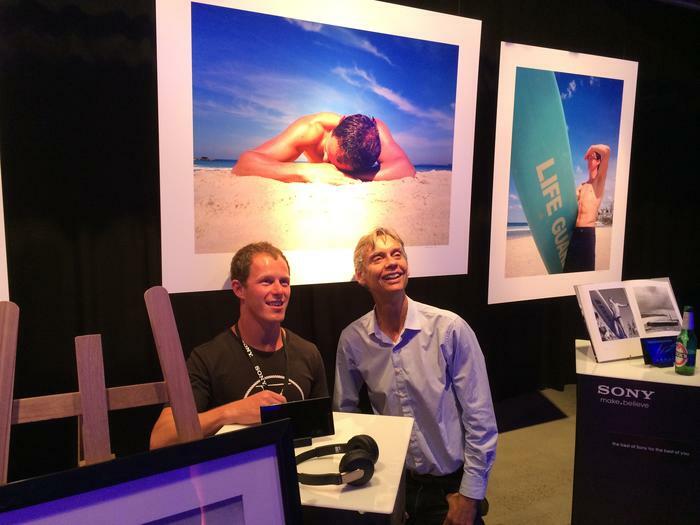 The burst mode is perhaps the best showcase for the new A7 processor. We particularly like the way iOS 7 deals with these shots: instead of storing each burst shot as an individual photo in your camera roll, it groups them all together with a burst icon indicator. 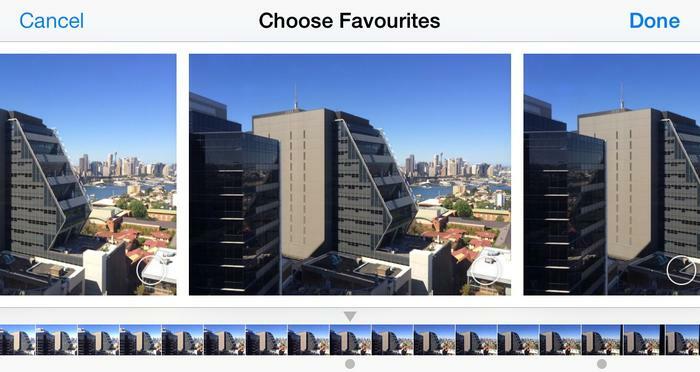 While we found the automatic favourite shot hit and miss, selecting the photos you want to keep and deleting the rest can be done in two or three taps. It's quick and easy. Slo-mo video is also a nice addition. It shoots 720p HD video at 120 frames per second and then plays it back at 30fps. Conveniently, you can use an easy on-screen slider to select when you want the slow motion to start and end in any recorded clip. The clips can be uploaded and shared through social media including Facebook, YouTube, Instagram and Vimeo. Handling images captured with burst mode is effortless. Anyone who uses the device extensively throughout the day will be disappointed. Apple says the iPhone 5s' battery will last for up to eight hours on 3G, and up to 10 hours of 4G and/or Wi-Fi Internet use, while talk time is listed at up to 10 hours. However, during testing we experienced less battery life than Apple's stated figures, regularly having to charge our review unit well before the end of the day. The iPhone 5s is likely to offer a slight improvement for less frequent users, but anyone who uses the device extensively throughout the day will be disappointed to learn they'll need to charge before a night out to avoid a dead iPhone. Obviously your battery life experience will vary depending on your usage patterns, your location and the signal strength of your carrier's mobile connection, especially when in a 4G area. If you're a current iPhone user, if you've invested heavily in the Apple iOS ecosystem and if you're happy with the way the iPhone works, you'll more than likely be very pleased with the iPhone 5s. The Touch ID fingerprint sensor is pretty useful, the camera offers improved performance in low-light, and iOS 7 is a nice upgrade for any iPhone user. However, if you're not a current iPhone owner, and you're looking for a smartphone, the choice is more difficult. If you want a larger screened device and more flexibility, an Android phone is probably a better choice for you. If you want a truly great camera with more features, then Nokia's Lumia 1020 is definitely worth a look. The iPhone 5s is one of the best smartphones on the market, but the choice has never been greater. 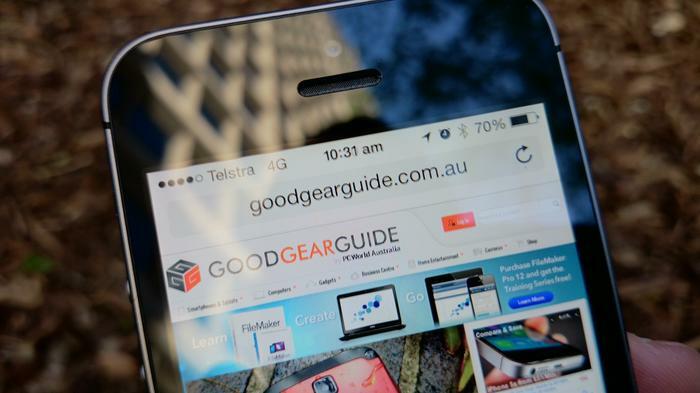 The Apple iPhone 5s is available now in Australia through Telstra, Optus, Vodafone and Virgin Mobile. The iPhone 5s will also be sold outright through Apple's Retail Stores, and through the Apple online store with Australian pricing set at AU$869 for the 16GB model. The 32GB model will set you back $999 and the 64GB version will cost $1,129. The iPhone 5s will be available through Telecom and Vodafone in New Zealand. It will be sold outright via Apple's website, at an RRP of NZ$1,049 for the 16GB version, $1,199 for 32GB, and $1,349 for 64GB.